December can't come fast enough, I am so geeked out about this release! What about you? We are the women who loved Alexander the Great. We were lovers and murderers, innocents and soldiers. And without us, Alexander would have been only a man. Instead he was a god. 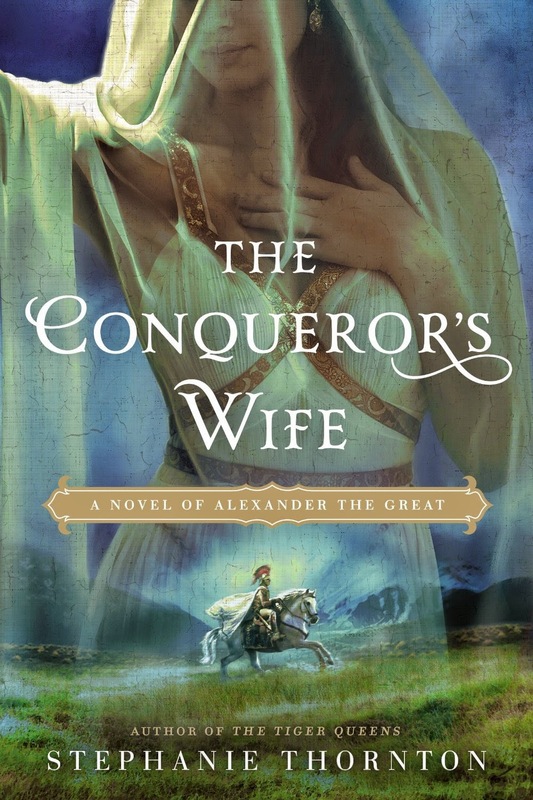 330s, B.C.E., Greece: Alexander, a handsome young warrior of Macedon, begins his quest to conquer the ancient world. But he cannot ascend to power, and keep it, without the women who help to shape his destiny. His spirited younger half-sister, Thessalonike, yearns to join her brother and see the world. Instead, it is Alexander's boyhood companion who rides with him into war while Thessalonike remains behind. Far away, crafty princess Drypetis will not stand idly by as Alexander topples her father from Persia's throne. And after Alexander conquers her tiny kingdom, Roxana, the beautiful and cunning daughter of a minor noble, wins Alexander’s heart…and will commit any crime to secure her place at his side. Looks wonderful! It's going on my list! What a great synopsis! This one sounds good! Mesabi Pioneers Blog Tour Kick Off Day!